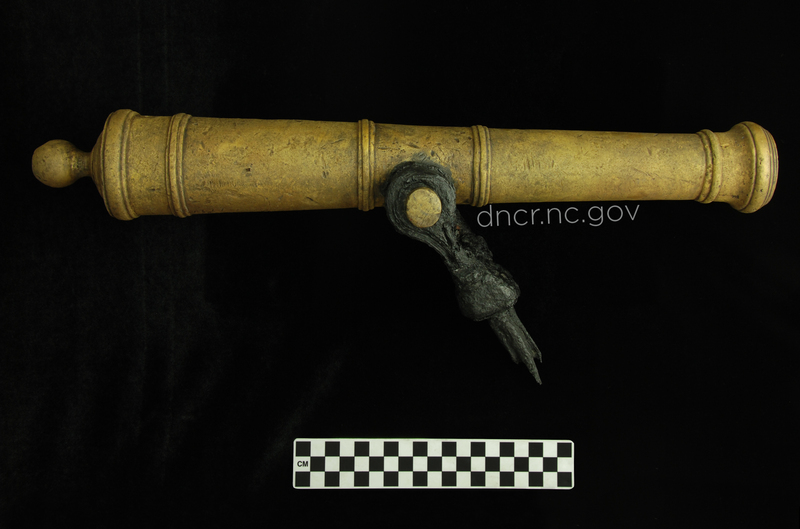 This small bronze gun is attached to a wrought iron yoke which would have been mounted on the gunwale. Such a small gun would do very minor damage as a weapon and was instead intended to signal or salute other members of the fleet, passing ships, or people on land. It is probably of British origin and manufactured around 1700. The bore is too small to fire the smallest of iron cannon balls and may not have been used to fire projectiles.